Located north of Iceland and the Arctic Circle, tucked tightly in the frigid waters of the Norwegian Sea, lay Norway’s Lofoten Islands. Known for excellent fishing, spectacular nature views (e.g., Northern Lights), the midnight sun, and Unstad, where it’s not surprising when the air temperature is in the low 30s and the water temperature hovers around a mere 40 degrees. 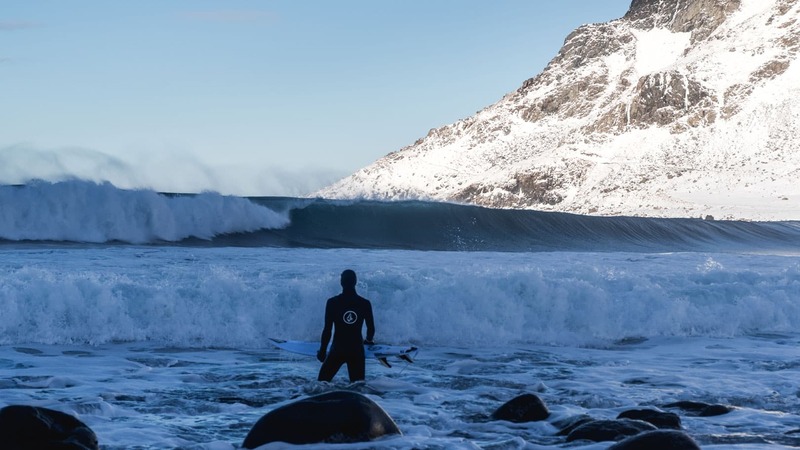 The quaint, small fisherman’s village of Unstad is also home to one of Norway’s best surfing spots. 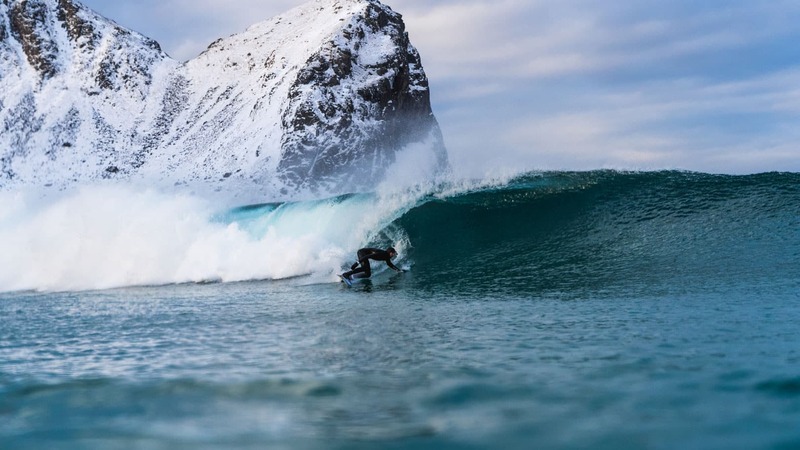 And even with the chilling temperatures, Unstad sees surfers from around the world showing up to surf the uncrowded waves, explore the region, and during the summer months, even have the opportunity to go for a midnight surf! 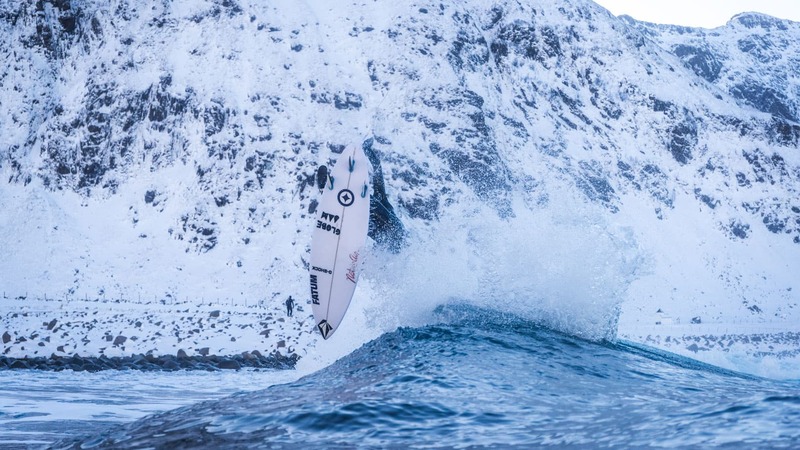 This all sounded much-too-appealing to 20-year-old Costa Rican surfer Leon Glatzer when he had the opportunity to visit the northern islands of Norway. 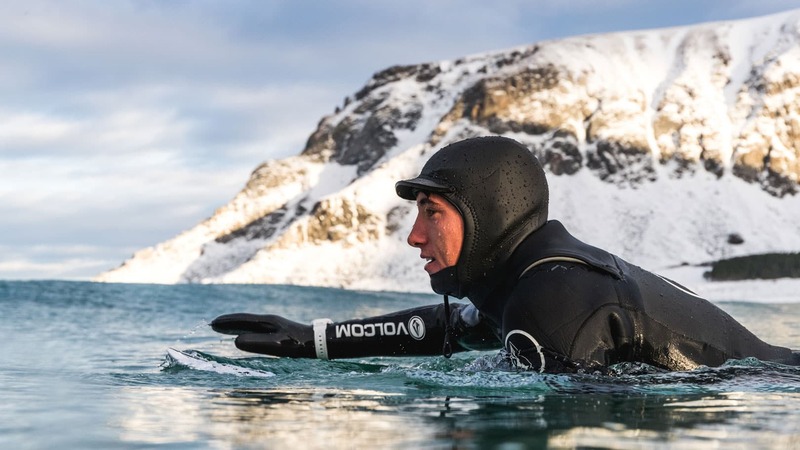 Leon, who ventured to Unstad to shoot a G-Shock commercial, said this trip was “nothing like I have ever experienced.” A far departure from his tropical home in Central America where he doesn’t need to wear a wetsuit, Leon had to pack thick fullsuits, booties, gloves, and head gear to battle Norway’s freezing temperatures. Dive into this Q&A with Leon to hear first-hand about his experiences and favorite memories from his trip. LEON: Greg Martin (Friday Media Management ) gave me a call asking if I wanted to go to Norway for a G-Shock shoot. I couldn’t believe it. Norway? That must be freezing! So I jumped on the opportunity right away. Did you guys wait for a swell before going or did there happen to be waves when you arrived? LEON: We waited for almost two months for the perfect swell and weather. It was a long two months because I wanted to go right away, but it’s good that we waited because the waves were firing and the conditions were perfect. What was it like traveling to Norway? LEON: It was a really long journey to get there. We had to take four different flights due to the location we wanted to reach, which was the north part of Norway. Flying over all the mountains covered in thick snow and ice blocks floating in the water was one of the most amazing visions for me especially coming from Costa Rica. I questioned myself: what have I got myself into? 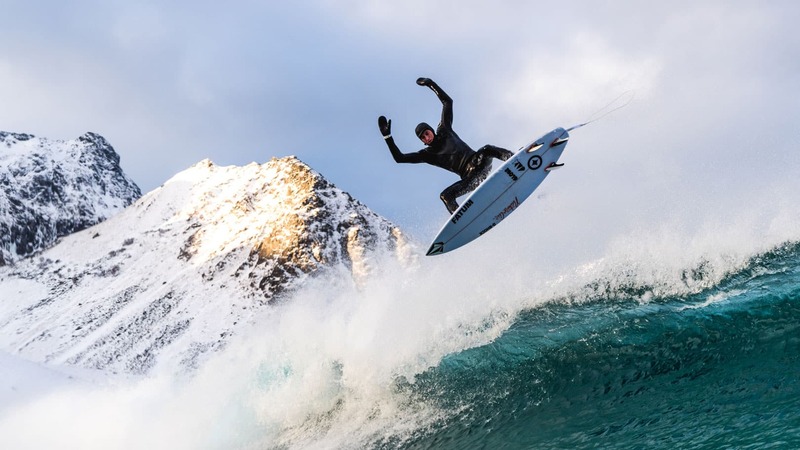 What gear did you have to pack for this trip and surfing in the snowy conditions? LEON: I packed loads of socks and gloves. Also, waterproof pants, jackets, and boots (which had to be waterproofed). Wetsuit thickness was a 5/4, but I had three of them so I could put a dry one on every session. How were the waves, water temp, locals, etc.? LEON: The waves were pumping 4-7 foot, perfect glassy lefts with light offshore winds. Water temperature was 36 degrees, pretty much freezing temperature. There was one or two locals that I surfed with and they really nice people and were super stoked that I was there. It’s a really small surfing scene, which is cool. The place I surfed is called Unstad and is pretty much all rocks on the bottom and no sand until you get to the beach. LEON: The town was small and intimate, and a complete fishermen town. Super friendly people everywhere and always reaching out to you for a conversation. It was nice talking with different people and sharing the reason for my trip and hearing their stories and the history of the town. Any interesting food or cool local spots? LEON: The food was amazing. We ate whale stew almost every day. There wasn’t really any local spots or localism because the town was so small, which was a breath of fresh air. Every place was a local spot! LEON: My favorite part of the trip was the first day I woke up and had no idea how the waves were going to be. We pulled up to the spot and it was absolutely firing. Surfed for four hours straight. After four hours, I basically had to crawl to the car because my feet were completely frozen and I couldn’t walk at all. I finally arrived to the car and the crew started laughing their asses off at me!